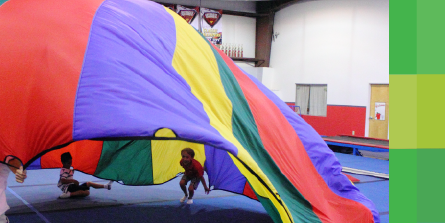 Parties at Elite provide incredible fun for all ages! What better than a party where you're allowed to run around, play games and just be a kid? Plus, we take care of the details and games so parents can just enjoy the time too! Make your next party one your child and friends will not forget! You may come in 15 minutes early for setup. All party participants must be picked up from Elite no later than 15 minutes after the party or incur a $5 charge for each 15 minutes (charged to the host parent). PARENTS ARE NOT ALLOWED ON ANY PIECE OF EQUIPMENT.